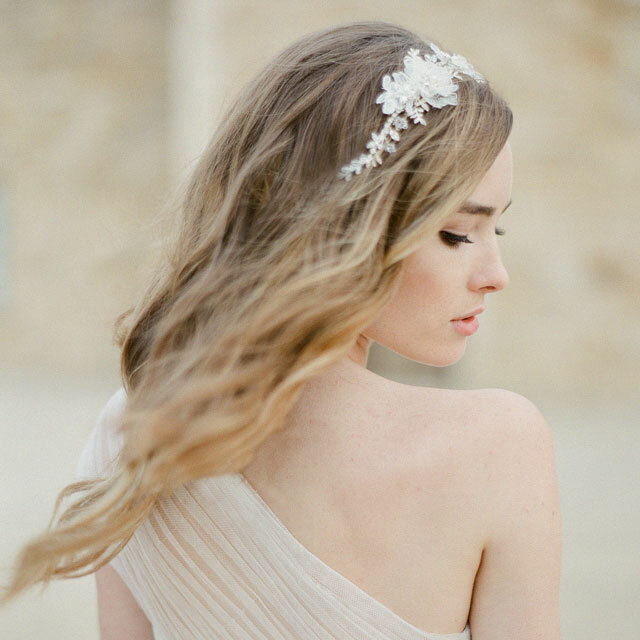 Want to look amazing on your wedding day? It’s not as hard as you’d think! Feel extra-glamorous and create your own princess-inspired look with just three items. 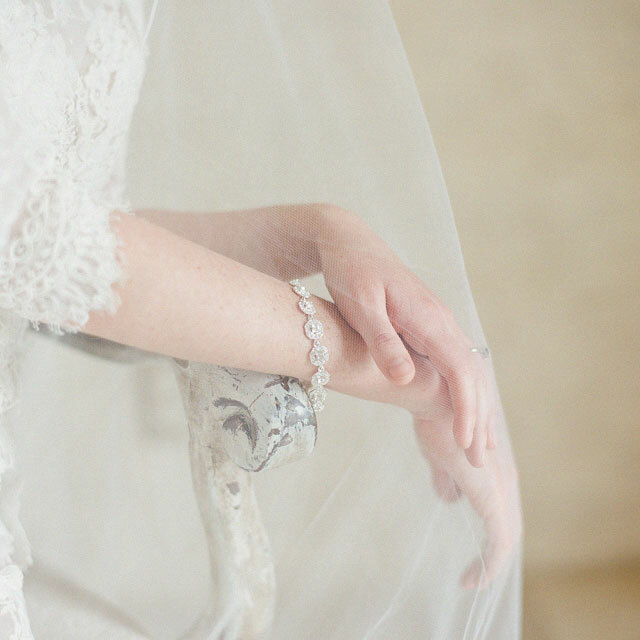 If you’re going for a classic or formal bridal look, a veil is a must-have. But did you know that your headpiece is what really ties in your theme? Whether you want a vintage vibe or romantic style, your hair accessory makes or breaks the look. Choose a shimmering halo for boho-chic sparkle; a lace and rhinestone headband for classic elegance (style 6649 shown); or an Art Deco design for jazz age glamour. Beauty is in the details. You might think no one will notice if you’re wearing a bracelet or not, but you’ll love the close-up photos of your bouquet and ring if you are! Choose a glamorous cuff or clasp bracelet (style BC134 shown) for a touch of shimmering elegance that will dress up your whole look. Belts are also a great way to personalize your gown. 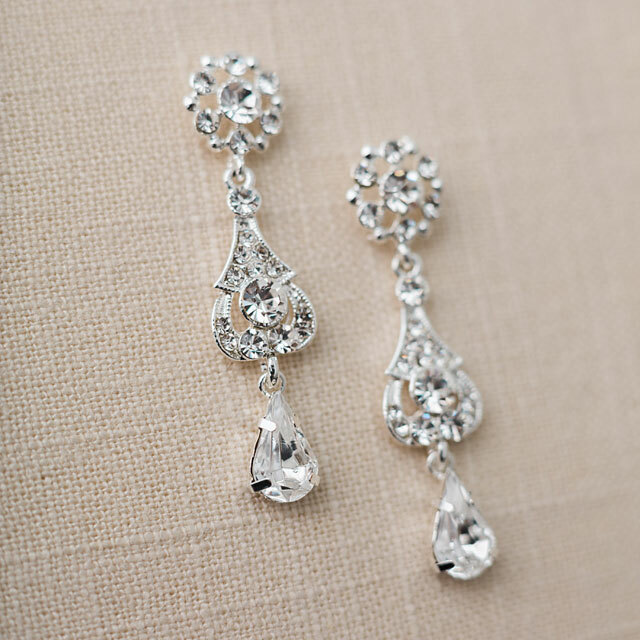 Perhaps the most important element of a glamorous bridal ensemble, dramatic earrings are practically required (style EA213 shown). If you’re wearing your hair up in an elegant bun, you’ll get incredible sparkle in those photos. If you’re going hair down, a bit of bling can still shine through. You can add some shoulder jewelry or a necklace if you’re sporting a strapless gown, but don’t overdo it. Try on everything together and strike the perfect balance. Styling a glamorous look for your wedding? Check out our My Bridal Style Glamorous page for some ideas. Follow us on Instagram for up-to-the-minute inspiration!